Welcome to the Cobblestone Hotel & Suites in Seward, Nebraska. Our beautiful hotel is conveniently located near everything that Seward, Nebraska has to offer including Fourth of July in Seward, Lincoln Airport, Southeast Community College, The University of Nebraska – Lincoln Seward County, Concordia University – Nebraska Seward, Civic Center, World’s Largest Time Capsule, and more. Our hotel provides easy access for traveling to and from Nebraska Highway 280 and U.S. Highway 34. Located north of Interstate 80, our hotel is within 30 miles of Lincoln, Nebraska. In town for business? 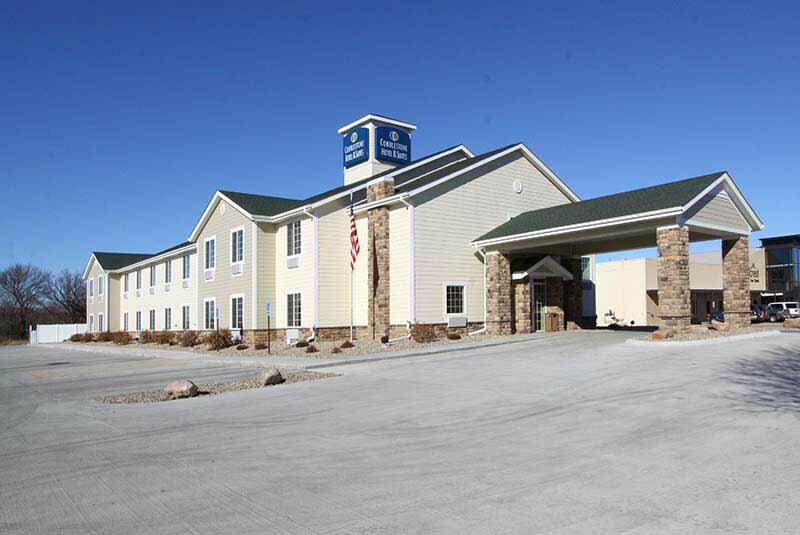 The Cobblestone Hotel & Suites in Seward, Nebraska offers easy access to Hughes Brothers Inc., Tenneco Automotive, Allure Fashion, Medinger’s Market, Graves Computers, Multimedia, and much more! In town for some fun? Check out Seward’s Fourth of July Celebration, Bartels Rock & Mineral Museum, Junto Vineyard & Winery, Olde Glory Theatre & Community Hall, and more.